All level 3 students (A Level and BTEC) will submit a UCAS application. To help them to do this a full programme of support will begin in February of year 12, which will continue until A Level results day. This will include University visits and workshops with specialist advisors. We also offer a variety of mentoring schemes which provide invaluable opportunities for students to receive guidance from business professionals, academics, experts in university admissions, for example Hackney Schools Mentoring and mentoring with Freshfields, an international law firm. These offer invaluable opportunities for students to receive mentoring and guidance from a business professional. Starting in Year 12, students gain help with CV writing, presentation skills, interview techniques, coursework and revision through regular meetings. The scheme concludes with UCAS application assistance and preparing for exams at the start of Year 13. 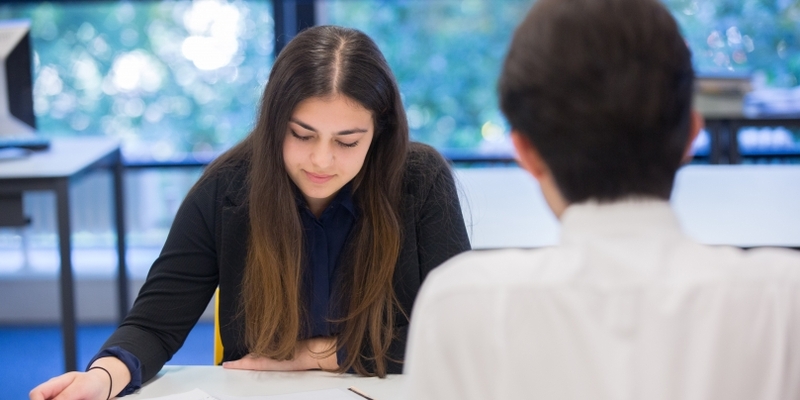 Another opportunity available to our Sixth Form students is The Access Project – specialist support for the University application process including individual subject tuition and the opportunity to join the academic societies for Medicine and Dentistry, Law and Oxbridge; a programme that ensures these are pathways to success.